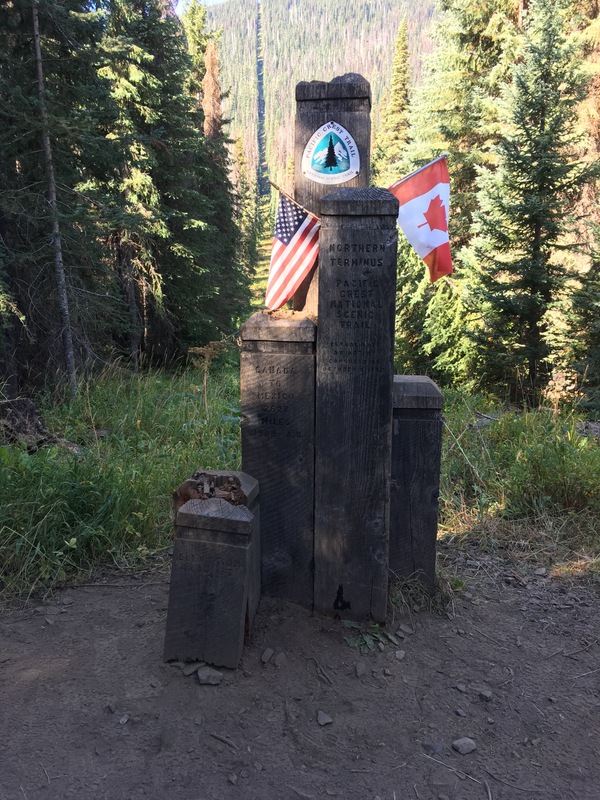 One day before the 5 month anniversary of our start date, we stepped across the clear cut in the forest that denotes the US-Canadian border and reached the northern terminus of the Pacific Crest Trail. We were done, finished, complete. If you ever wanted to see 6 grown, more or less emotionally stable, adults having a full on sob-fest, you should have been there. We then pulled ourselves together, took photos, signed our final trail register, and set out to hike into Manning Park where a warm meal and bus service to Vancouver awaited us. There’s a standard 8 mile, well marked, trail that leads hikers from the terminus to Manning Park. We, however, saw signs for an alternate trail with less elevation and decided to give it a shot. It was a poor decision. A mile or so in we started to realize that this particular trail hadn’t actually been a trail in several years. We spent the next several hours bushwacking and, for a couple of miles, hiking in a river (not nearby, or on the edge of, but in.) We finally reached Manning Park scratched up and with very wet feet; all agreed that this felt like a very appropriate ending for the year that was 2017 on the PCT. After hiking nearly the entire way with the same trail family (with some morphing along the way) we weren’t able ready to say goodbye yet, and spent a few days in Vancouver together trying to avoid the reality that our little group would soon be separated. Once you spend 5 months together, witnessing both the good and the bad in each other, and supporting each other through some very physically and emotionally challenging situations, it’s a very odd feeling to suddenly have everyone go their separate ways. We joked that every day, across all corners of the globe, we should pull out our little camp stoves and FaceTime each other while we cook supper to make the transition easier. Dan and I had our own idea on how to make reintroduction to society easier – avoidance. 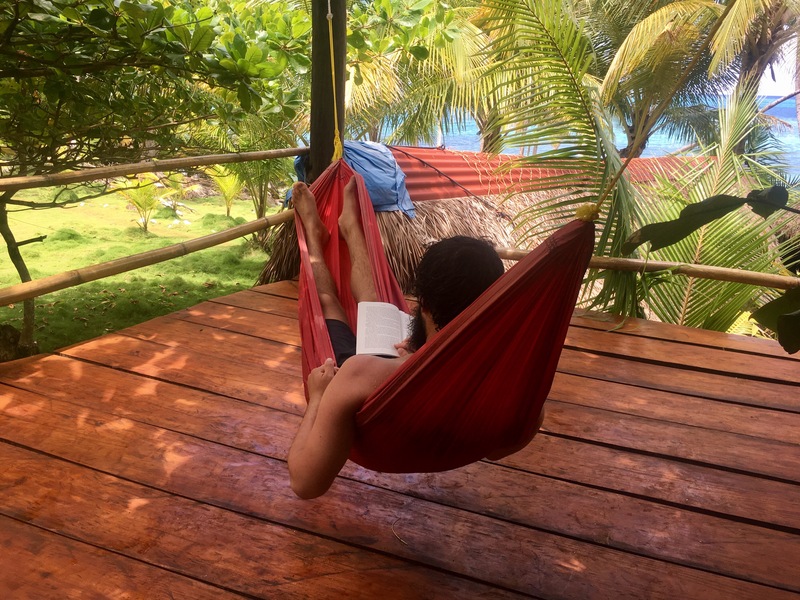 We bought ourselves two plane tickets from Vancouver to Nicaragua, purchased bathing suits and a change of clothes, and set off for some time on a beach. This has turned out to be an absolutely grand idea. We purposefully chose a very quiet spot (our time in Vancouver reinforced that we can’t yet handle crowds) and have been spending quality time with the sand and surf. 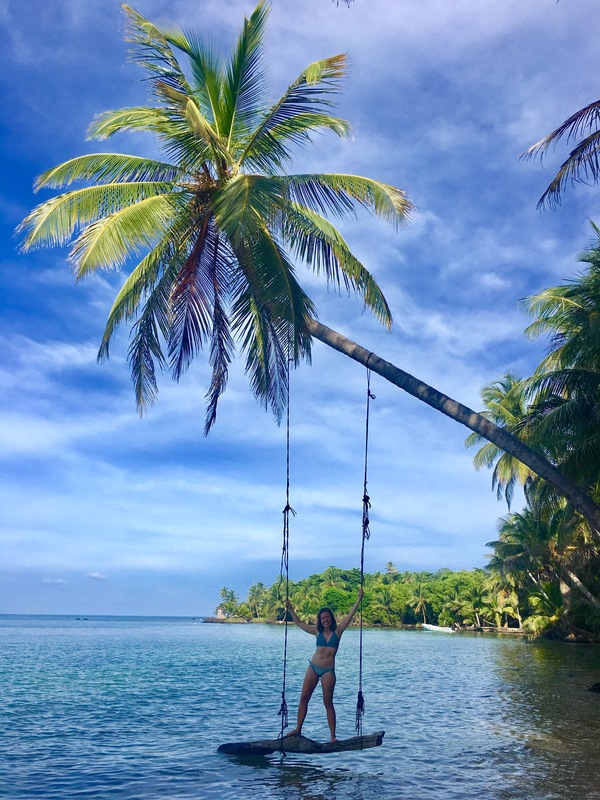 Our little island also has a good selection of yoga classes where I quickly discovered, that despite stretching on trail every night, I can no longer so much as touch my toes – not even close. We prepare to head home tomorrow, a little unsure how we feel about that exactly. We’re very excited to reunite with our dog (we miss you Nala, the other dogs we petted this summer meant nothing to us) and friends, as well as settle back into a routine. However, we’re also a little uncertain how we’re going to handle this transition; at this point I’m still struggling to remember to put on deodorant. We intend to take it easy on ourselves for the first couple of weeks as we ease back into the whole “modern society” nonsense, and see how it goes from there. For my final words, on this final blog post, I’d like to say thank you to those that helped us along the way. From the many Trail Angels who fed and sheltered us along the way, to all of the drivers who picked up and drove our disheveled-looking selves into town, as well as to those at home who gave our dog a temporary home, stored our belongings, and offered moral support from afar – thank you, it meant the world to us. Hi! Along with my husband/adventure partner, I thru-hiked the PCT in the notoriously challenging 2017 season. Those 5 months of "fire and ice" experience forever molded us and have us always seeking our next adventure. We're now looking towards the Great Divide Trail for 2019, 1130 kilometres of pure Canadian alpine glory. Follow along on our ever continuing journey. Whew! The journey remains to be told? Which one of you kept notes so you can put pen and ink to it? Congrats you guys! Thank you for sharing snippets of your hike with us. Glad you made it all the way!